Classic interval methods for optimization of analytic functions combine simple sub-region bounds within a branch and bound algorithm. These approaches are not successful beyond very low-dimension problems because of the exponential growth of feasible regions. Objexx has developed a method that exploits monotonicity and the effective dimension of sub-functions to greatly expand the range of problems that are computationally tractable. The LP-Form paper presents part of the theory behind this approach. The solution engine developed for ObjexxSISAME is an efficient and reliable solver for quadratic "least squares" minimization problems with linear equality and inequality constraints. 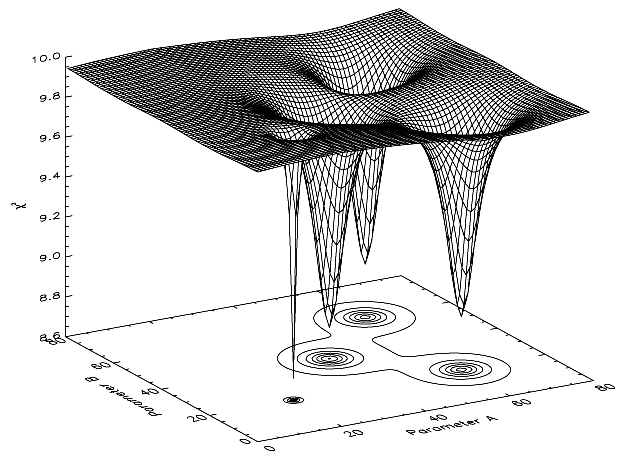 Least squares problems tend to be ill-conditioned. Robust solution of such Linear Complementarity Problems requires careful treatment of conditioning and constraint activity and redundancy detection. Contact Objexx for further information on Objexx optimization solutions.